The axiomatic method is today mostly associated with mathematics. However, historically there have been some works, as for example Spinoza's Ethics, that have applied axiomatic method to philosophy, or Woodger's The Axiomatic Method in Biology, which tries to apply axiomatic method do biology. Are there any modern examples of works in which axiomatic method has been applied to something else than mathematics? Within the subject of rational choice theory, there has been an extensive axiomatic development of various rational decision theories, in which general principles of rational decision-making are put forth in a general context, and then detailed arguments are made to deduce further consequences from them. A major issue had been the extent to which the resulting theories were descriptive or prescriptive of rational decision-making, since experiments have now shown that apparently rational people do not generally conform with the originally proposed axioms, leading researchers to consider alternatives (for example, see this article). But I would also answer your question with the claim that whenever a theory truly adopts an axiomatic mathematic method, in the style of Euclid, then it in effect becomes a piece of mathematics. Many mathematicians would find the process of reasoning from crisply stated axioms to conclusions as laying at the very heart of mathematics. And so it may be that whenever a subject adopts a truly axiomatic method, it thereby itself becomes to that extent mathematics. Another extremely natural answer arises, of course, with Spinoza, many of whose arguments follow a deductive axiomatic style, with formally stated axioms, definitions, theorems and corollaries. One of the most remarkable features of the Ethics is its axiomatic form. 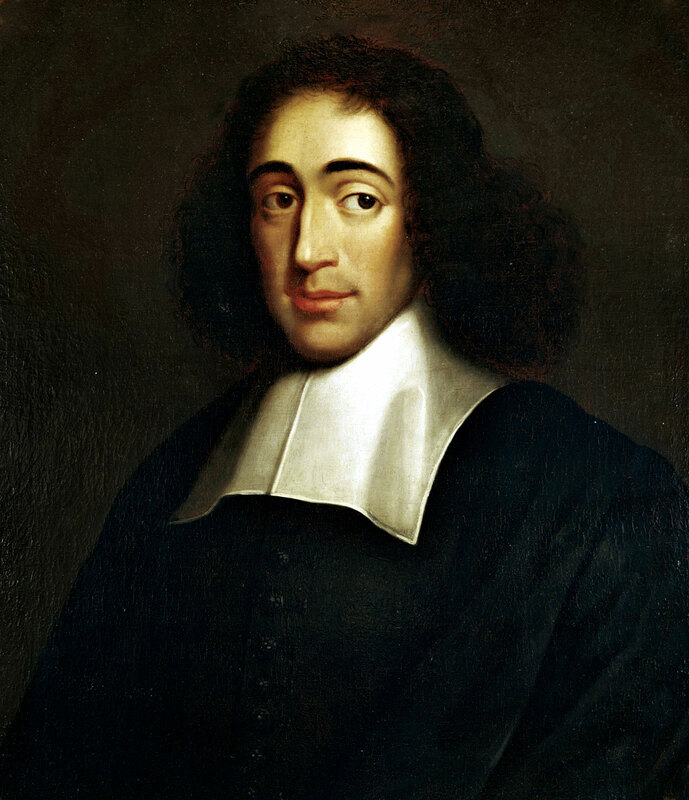 Spinoza sets out at the start a small number of definitions and axioms that are assuredly true, and proceeds to deduce from these the rest of his philosophy. In this respect, the work is an attempt to use a theory of philosophy that is modelled upon Euclid’s Elements. Here is Charles Jarrett's article for the Canadian Journal of Philosophy on Spinoza's ontological argument. Spinoza’s approach is geometrical, that is modeled on the reasoning in geometry. Euclid defined various terms, provided axioms, and everything else was to be proved from the axioms and definitions. The axiomatic method is fundamental to computer sciences. A good resource and explanation of this is An Axiomatic Basis for Computer Programming. Today, virtually every field leverages the power of computer software to some degree. Since computer software depends on the axiomatic method, and computer software is used in virtually every field, we can deduce that virtually every field uses the axiomatic method to some degree. The reason this wasn't obvious to you is because of the role in the user's consciousness that the axiomatic method plays. With computer programs, its use is implicit and a user may be completely unaware of how the processing is taking place. It is not necessary to understand how the axiomatic method is being applied in order to leverage its power with a computer program. By contrast, if you were to read a book about the application of the axiomatic method to biology, then the use of the axiomatic method would be very obvious, because you couldn't understand the book without understanding how it was being applied. The same method/process is occurring in both cases. The only difference is the human participant's awareness of its role. See Paul Ricoeur, "Structure, Word, Event" in Conflict of Interpretations: Essays in Hermeneutics (Evanston: Northwestern University Press, 1974), 79. An enterprise such as that of Jacques Derrida might be termed a "poststructuralism" which conceives an absolute text that refers only to itself and consists in the endless play of signifiers in a closed and again ultimately dead and meaningless system. See Jacques Derrida, "Structure, Sign and Play in the Discourse of the Human Sciences," in The Structuralist Controversy: The Languages of Criticism and the Sciences of Man, ed. Richard Macksey and Eugenio Donato (Baltimore: Johns Hopkins Press, 1970), 247–64. 1. I wish to show that the type of intelligibility that is expressed in structuralism prevails in every case in which one can: (a) work on a corpus already constituted, finished, closed, and in that sense, dead; (b) establish inventories of elements and units; (c) place these elements or units in relations of opposition, preferably binary opposition; and (d) establish an algebra or combinatory system of these elements and opposed pairs. The aspect of language which lends itself to this inventory I will designate a language [langue]; the inventories and combinations which this language yields I will term taxonomies; and the model which governs the investigation I will call semiotics. "physically-motivated axioms for a physical theory". There's Paninis work in 4th Century BCE, in Gandara; he axiomatised Sanskrit grammar in his Astadyayi. Notably, today we have such axiomatics for artificial languages - c, or c++ for example. The axiomatic method is so closely identified with Euclid; that its also worth noting that it was the Pythagorean Arcytas, two centuries before him who write the first Elements - but probably without Euclids perfection of style and substance. Not the answer you're looking for? Browse other questions tagged philosophy-of-science philosophy-of-mathematics reference-request or ask your own question. Are there any philosophical works consisting entirely in conditional propositions? Does a Background in Mathematics Make One a Better Philosopher?